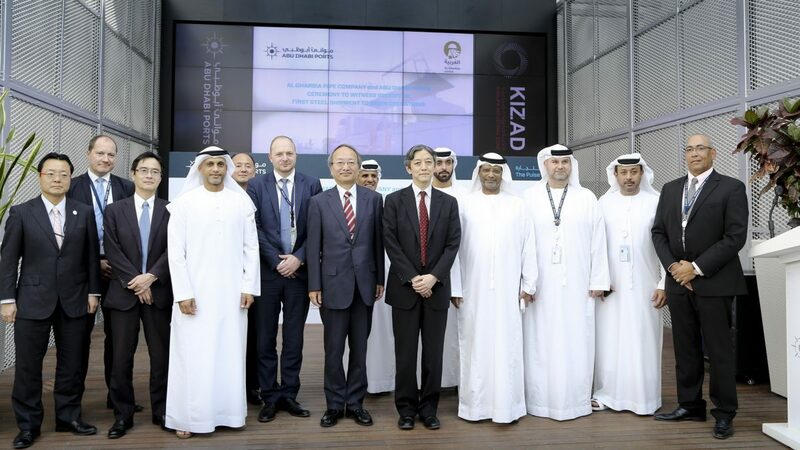 Abu Dhabi Ports, the master developer, operator and manager of commercial and community ports within the emirate of Abu Dhabi, as well as Fujairah Terminals and Khalifa Industrial Zone Abu Dhabi (KIZAD), welcomed a high-level delegation from Japan headed by Mr. Shigehiro Tanaka, Director-General for Trade Policy Bureau of Japan, to KIZAD. As part of the visit, Mr. Tanaka was escorted on a tour of KIZAD to showcase the industrial zone’s role in supporting trade development, discussing how Khalifa Port, KIZAD, and its free zone (KPFTZ), are all supporting companies to grow and access more markets from this strategic location. Commenting on the delegation visit, Captain Al Shamisi said: “We welcome the opportunity to showcase KIZAD and Khalifa Port’s capabilities, both of which represent our dedication to establishing strong trade relations with our esteemed Japanese partners. 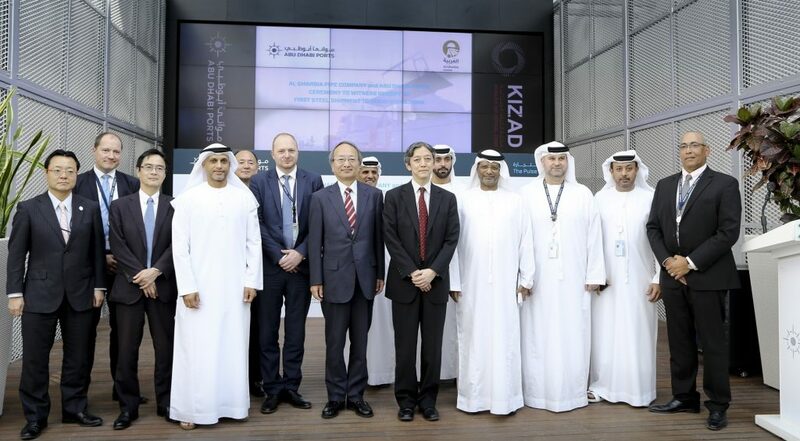 Japan is a strategic partner to the UAE, and as such, Abu Dhabi Ports and KIZAD will continue to extend every effort to support Japanese companies and tenants”. Tanaka also took advantage of his visit to KIZAD to attend a tour of the Al Gharbia Pipe Company’s site, and to receive structural and business updates on the joint venture company that was established in 2015 between Senaat and two Japanese steel companies – JFE Steel Corporation and Marubeni-Itochu Steel (MISI). The company received its first import consignment of steel plates, an essential raw material for its production process, at Khalifa Port, on 5 October marking an important achievement for their operations at KIZAD. Al Gharbia Pipe Company broke ground in KIZAD in 2016 and will be the UAE’s first plant capable of manufacturing large diameter, thick wall, sour service, longitudinally welded steel pipes to service the regional industrial sectors including oil and gas and transport sectors. The company will also be a source of supply to industrial and construction sectors in the region as well. Commenting at the ceremony, VP Commercial & Business Development, Edwin Lammers said: “We are delighted to be supporting Al Gharbia Pipe Company in its endeavours to set up in the region. We pride ourselves on offering our clients the best possible services at KIZAD. Its promising to see companies like Al Gharbia achieve all their business milestones through our industrial zones strategic location that is complemented by its proximity to Khalifa Port, which is fully equipped to handle all types of container, break bulk and general cargo and serves as a gateway to trade exports and imports within the region and beyond”. The imported steel, once unloaded at Khalifa Port, is transported via a specially designed eight-lane highway that’s exclusive to KIZAD, the Modular Path, a dedicated road for moving over-sized equipment between the investors’ facility and Khalifa Port, in a swift, safe, and economical manner. Once at the investors’ facilities, the raw material undergoes the production process and the final product is then sent back to Khalifa Port for export. Mr. Mitsuru Anezaki, General Manager at Al Gharbia Pipe Company, commended the role of KIZAD and Khalifa Port in providing seamless logistical services, saying; “We are very pleased to announce the arrival our first shipment of steel plate from Japan at Khalifa Port. This is an ideal time, given the economic situation, for Al Gharbia to start manufacturing steel pipes and this development goes a long way to establishing KIZAD as a steel manufacturing base. Khalifa Port, the gateway to Khalifa Industrial Zone Abu Dhabi (KIZAD) and trade in Abu Dhabi, is a crucial supply chain hub for us to import plate from; and to export pipe to the world. 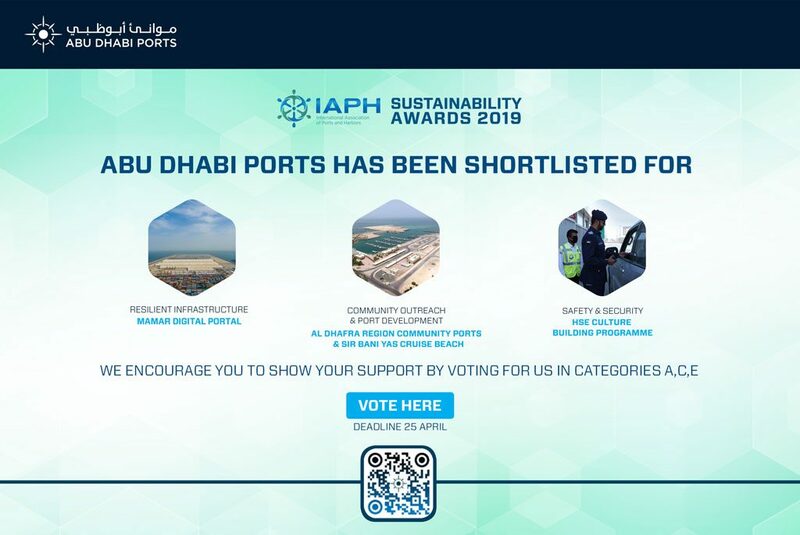 We appreciate all the efforts and cooperation extended by Abu Dhabi Ports and will continue to work with the company to achieve further success”. The Al Gharbia plant is being built on 200,000 square metres at KIZAD and is expected to launch operations in 2018. Once fully operational, the plant’s production capacity is set to reach 240,000 tonnes annually, of which around 40 per cent will be exported to countries in the MENA region. Japan is a strategic trade partner to the UAE, with bilateral trade standing at $14.6 billion in 2016.